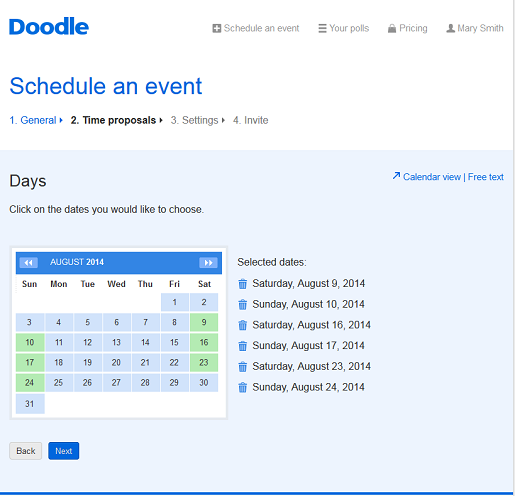 Doodle Free Online Polls - With Doodle online polling is free and simple! 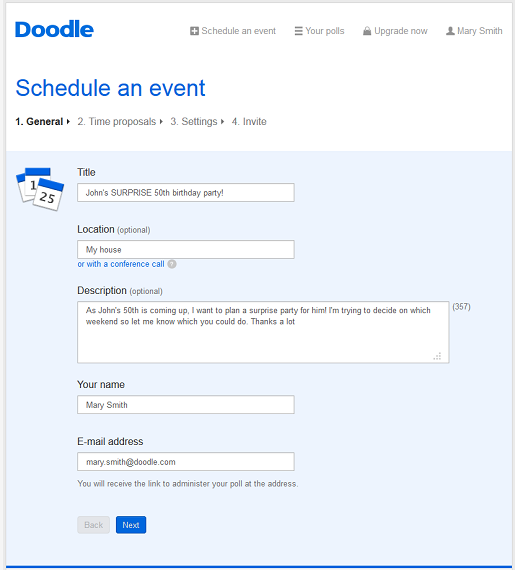 Whether you’re looking to build an online poll for research purposes, to check your invitees’ availability when organizing an event or simply wanting to make an opinion poll online out of curiosity, the Doodle online poll generator might be the exact thing you’ve been looking for! With Doodle, online polls couldn’t be easier to make and they’re totally free! Follow these simple steps and be on your way to managing your polls online. In just a few small steps with Doodle, you can create polls online for free! Register for free in a matter of seconds for a Doodle account – registration for a Doodle account is quick and straight forward. Simply enter your name, email address and a password of your choice, and Doodle will send you an account activation email within a matter of seconds. Within this email you will be sent an activation code. Enter this activation code when signing in and your account registration will be complete! You will now be one step closer to creating an online poll! From your account Doodle Dashboard, choose the option ‘’Schedule an event’’ to be on your way to building one of your first online polls. Here you can enter the Title, Location and Description of your proposed event, as well as your name and email address so you can be informed of your online polling results. 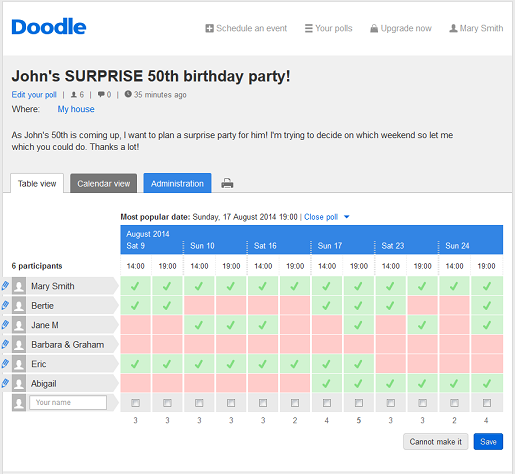 The example below shows a user organising a surprise birthday party event amongst her friends and family and using the Doodle poll online to find out their availability. The next step is to select the dates that you wish to propose to those you’re sharing the poll with. Simply click on the dates you want your online polling pool to choose from. You will then be given the option to propose specific times within the dates you previously selected. If you don’t wish to be so specific about the time proposals within your online polls, then simply click next and your proposed dates will be shown as all-day within your online polling Doodle calendar. Your online poll is now complete! What you can now do is share your poll by entering the email addresses of your invitees. Alternatively you can simply share a URL to your poll online with your contacts so they can participate. The great thing here is that your online polling sample of friends don’t even need to have a Doodle account to participate in your poll online, removing a significant potential barrier to you receiving a 100% response rate! 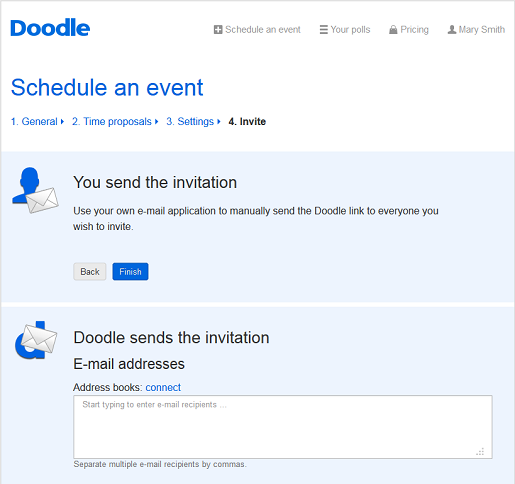 Once your contacts start participating in your online polls, you will receive notification emails from Doodle. You can also keep track of the progress of your online polls within your Doodle account. 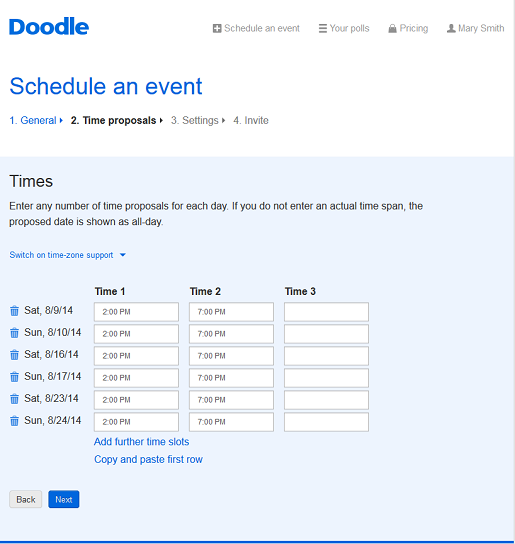 Doodle displays the results of your free online polls in a clear and concise format, allowing you to immediately see the best times to meet.